Shelves of Books. Encore Books. NDG. Photo Jessica Blair. As the year winds down and most of us are either flying down south to keep warm or are stuck, voluntarily or not, to brave the Quebec winters, what better way is there to beat the cold than to curl up with a book? Not a tablet, mind you. A tablet has its merits, but there are there not some times where a physical book can only do? 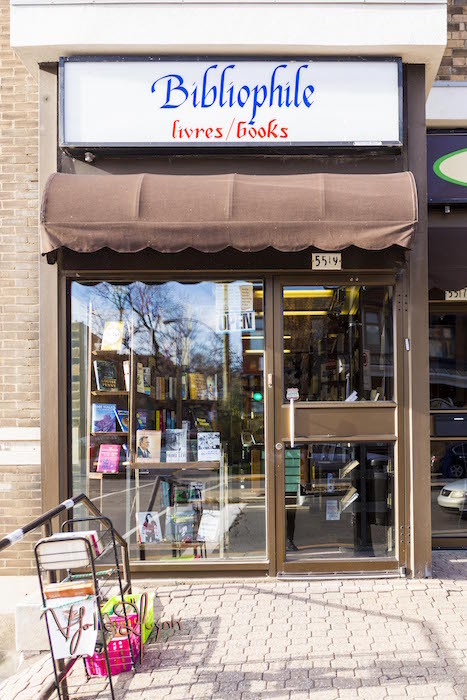 For the next few Quebec Curios, we’ve gathered a short list of many smaller brick-and-mortar bookstores, starting with the very small, micro bookstores you can find dotted around Montreal, mostly in the downtown area. This list is for the old schoolers, the ones who enjoy the smell of paper and the feel of a page, from the grainy pulpiness of mass market paperbacks to the smoothness of collector’s items. A pleasant experience, though perhaps not for the claustrophobic: this tiny, 200 square feet bookstore is covered in books and is ready and willing to order the title you want should you not find it in store. 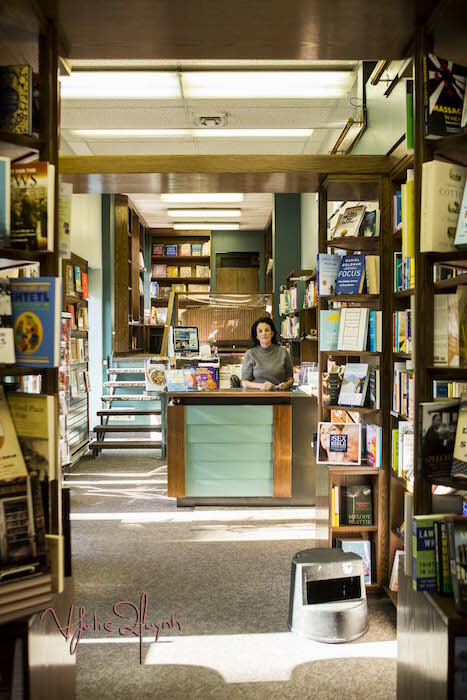 Argo Bookstore was established in 1966 and is open Tuesday to Saturday from noon to 6 pm. An independent English bookstore founded in 1981, this bookstore carries various childrens’ and adults’ books, fiction and non-fiction, as well as a Judaica section. Bibliophile is open from Monday to Thursday from 9:30 am to 6 pm, Friday from 9:30 am to sunset (check your local Jewish calendar), and from Sunday from 10:30 am to 5 pm. Specialising in exactly what it says in its name, the three owners of your neighbourhood, friendly comic book store will help you find a new comic to get lost in or will guide you to your old favourite’s newest issue. Crossover Comics is open Monday through Wednesday from 11 am to 6 pm, Thursday and Friday from 11 am to 8 pm, and on the weekends from 11 am to 5 pm. Vinyl Records and Shelves of Books. Encore Books. NDG. Photo Jessica Blair. 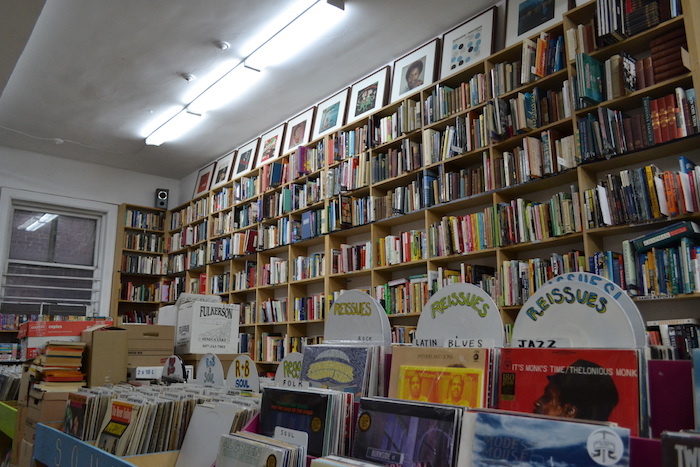 Not just another bookstore, this second-hand bookstore also has a dedicated vinyl and movie collection ready for you to buy. For the ambitious, Encore also can also buy your books, but they are selective about quality and generally to not take textbooks or encyclopedias. Encore is open Monday through Wednesday from 11 am to 7 pm, Thursday and Friday from 11 am to 9 pm, and on weekends from 11 am to 7 pm.